“I can say that the president’s instruction will be fulfilled on time, and the Ukrainian Security Service chief will present a relevant report to the president of Ukraine,” Nastyuk said at a news briefing in Kyiv on Thursday. On Wednesday, Poroshenko asked the Security Service to analyze how reasonable Medvedchuk’s involvement in the negotiations on freeing Ukrainian hostages was. “I am addressing the Ukrainian Security Service to analyze how reasonable it is to continue using Mr. Medvedchuk in the humanitarian group format for freeing the hostages if his functioning has been inefficient. Report back to me tomorrow,” Poroshenko said in an interview on Radio NV. “Mr. Medvedchuk de facto represents the Russian Federation and Mr. Putin. And what are his motives – what has all of this been done for? Because this has been the only channel of communication with Mr. Putin, which has proven inefficient,” he said. It is not within Medvedchuk’s competency to determine “what Ukraine should do and how,” Poroshenko said. “He had just one task: releasing the hostages who are being held both in basements in the occupied territories and in Russia,” he said. The last exchange of prisoners took place in December 2017, which cannot be seen as efficient, he said. Medvedchuk said on Wednesday that he had been involved in negotiations on Donbas at President Poroshenko’s request and had never been officially appointed a negotiator, and therefore he cannot be recalled from negotiations. 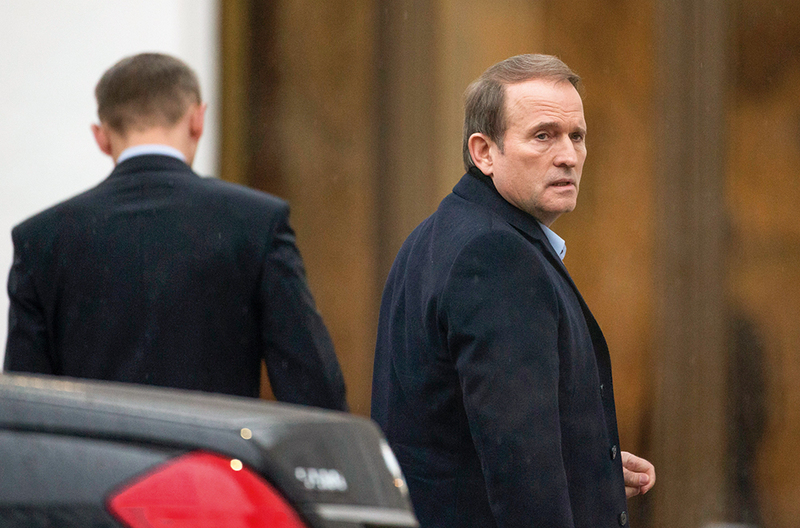 “For the information of (presidential candidate Volodymyr) Zelensky’s staff scriptwriters: Petro Poroshenko has never appointed Viktor Medvedchuk a ‘negotiator’ with Russia. I have been involved in negotiations between Ukraine and Russia solely at the request of the Ukrainian president, and I’ve been doing that in the interests of the country rather than its president. Therefore, removing me from the ‘negotiations’ is not possible a priori,” Medvedchuk said in a statement posted on the party’s website. At the same time, Medvedchuk said he has lately been holding negotiations with the Russian leadership exclusively as the chairman of Opposition Platform – For Life’s political council. Medvedchuk has been participating in the negotiations on the exchange of captives in Donbas within the humanitarian subgroup of the Trilateral Contact Group.